Master Links are a key component of multi-legged wire rope bridle slings, stingers, alloy chain slings and web sling bridles. 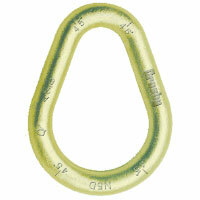 They are used as stand alone rigging accessories and can also be added to rigging configurations as needed. 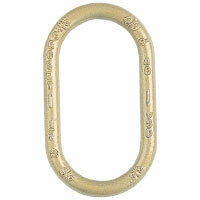 Available in Alloy, Carbon and Cold-Tuff® materials, master links come in Oblong and Pear shapes. 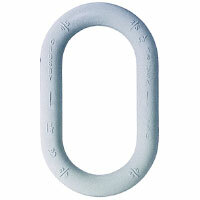 Depending on the use, they are even available in a round Ring, Pear shaped or End fitting configurations. Cold-Tuff® Alloy Master Links are quenched and tempered, individually proof tested, and certified to meet charpy impact testing. These master links are suitable for use at -50F and have a type approval of and certification in accordance with DNV 2.7-1 Offshore Containers. Click on the images below for more information on master links.